TPCAF Recognition Program Recognition Program TrainingRecognition NewslettersRecognition - Sample PoliciesWhat is Recognition? What is the Law Enforcement Agency Best Practices Recognition Program? While similar in nature to the national accreditation program, the Best Practices Recognition Program is easier to administer, lower in cost and is designed specifically for Texas Law Enforcement. The Texas Legislature demands a great deal of professional law enforcement in Texas and the Best Practices were specifically designed to aid Texas agencies in meeting those demands and providing the best quality of service to the people of our State. Since its inception in 2006, over 100 Texas Law Enforcement Agencies have been Recognized and many more are currently in the process to become Recognized Agencies. While members of the Texas Police Chiefs Association recognizes and supports the national accreditation program, The Texas Best Practices Recognition Program has clearly become the new Gold Standard for Texas Law Enforcement! How were these Best Practices developed? A Committee of Chiefs of Police and Command level officers from across Texas assisted in the development of standards that were believed to be necessary for proper functioning of Texas law enforcement agencies. They reviewed Texas law and other State Accreditation Program standards to determine which were most appropriate. An appointed Committee of professional Police Chiefs from across the state then reviewed these standards and approved them for testing. The standards were then tested by several Texas agencies and adjusted to be both appropriate and achievable. That same Committee of nine Police Chiefs now conducts the final review of an agency’s efforts and awards “Recognized” status in addition to conducting an annual review of the Best Practices for additions and modifications. What do the Standards look like? Be numbered and organized in a manner that allows numerical reference. Require a periodic review and updating of directives to include that all directives are in accordance with applicable Texas Law. Require directives and updates be made available to, and reviewed by, all affected agency personnel in a manner designated by the Agency Director. Require maintenance of documentation proving receipt of directives by agency personnel in a manner designated by the Agency Director. The Agency has a written directive which requires that personnel hold a Texas Peace Officer license before performing law enforcement duties. The Agency has a written directive on how to receive, investigate, and conclude complaints against employees. Sustained complaints must be based on facts determined during the investigation. The Agency has a written directive that prohibits sexual or other unlawful harassment. The written directive must provide for reporting procedures that include when it is appropriate to make a report outside the chain of command or outside the Agency. The agency must provide training to all personnel. The Agency has a written directive requiring all employees to be truthful in all official verbal and written communications and reports. Employees will be truthful in any court related testimony or agency investigations. The agency has a written directive on training its sworn personnel at least annually in the proper use of deadly force and the use of any firearm used in the course of law enforcement duties. Address who is authorized to work off duty employment. State the types of employment prohibited by the agency. Include the approval procedure for off-duty employment. The Agency has a written directive that authorizes designated employees to use only the level of physical force that is necessary and reasonable to achieve the desired legal objective. The Agency has a written directive that authorizes police officers to use deadly force when the officer reasonably believes that his/her life is in immediate danger of death or serious bodily injury or a third person is in immediate danger of death or serious bodily injury. The Agency has a written directive requiring completion of a specific administrative form for this purpose only to document the use of force by agency personnel, including a review process of each incident by supervisory personnel. The form may be electronic or paper and the format will be designated by the agency. The method of conducting a pursuit. The supervision of a pursuit. The criteria for terminating vehicle pursuits. The Department also trains appropriate personnel in the pursuit policy. The reasons for the pursuit. The result of the pursuit. Any other significant events that occurred. An annual report of agency pursuits is prepared for the Agency Director. Determining the nature of the event and securing the scene. Calling appropriate assistance and/or supervision. That all adult arrested persons be searched before any transport. The approved methods of how to safely transport arrested persons. Methods or actions for transporting sick, injured, or disabled arrested persons. Search of the transporting vehicle before and after the transport. The proper use of any restraining devices. Monitoring of the prisoner to avoid medical difficulties. Training of agency personnel in searching and transportation of prisoners is also required. The Agency has a written directive requiring a sampling of individual items stored in the property and evidence area at least annually, and when a new person is assigned who is in direct control of the property/evidence function. Any sample should include an adequate number of items to determine the overall accountability and integrity of the inventory system. An agency that has been awarded “Recognized” status has undertaken a careful internal review of its policies, procedures, equipment, facilities, and operations. Most agencies find that some adjustment and revisions of their policies and procedures may be necessary. The agency then submits proof of their compliance with the standards (usually electronically) to independent assessors. After an independent review of their written documents and proofs, a team of assessors is sent to the agency to review their operations and facilities, and to interview the Department’s staff. A Final Report outlining the findings is sent to the Recognition Committee. The Committee reviews the findings and votes whether or not to award “Recognized” status. The “Recognized” status is awarded for a four year period. During the four year period the agency must submit an annual report and show continuing compliance with several performance related standards. These are reviewed as they are received and compliance verified. During the last year of the period the agency must prepare updated documentation on all Best Practices and another on site review is conducted. The Recognition Committee must then vote again to approve “Recognized” status for the next four years. If the agency does not submit the required annual proofs, or if there is indication received by the Committee that the agency is not in compliance during the period, the Committee may vote to remove “Recognized” status. 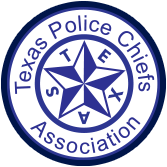 The Texas Police Chiefs Association Foundation has contracted with an outside group to manage the recognition process and ensure integrity and accountability. All Best practices are provided to any agency Free of Charge. They are available for download at the Program Website: http://rp.tpcaf.org You do not “Register” to obtain any downloads. Just click on “Downloads,” then click on “Getting Started,” then select the current version of the Standards Manual. Download the manual to your computer and print a copy or review the standards on your computer. Unlike other programs, The Texas Police Chiefs Association does not charge for copies of any program materials. If your agency is unable to participate due to funding, you are encouraged to use the standards without joining the Program in order to make your department better.